National Ding-A-Ling Day is one of those uniquely American inventions. 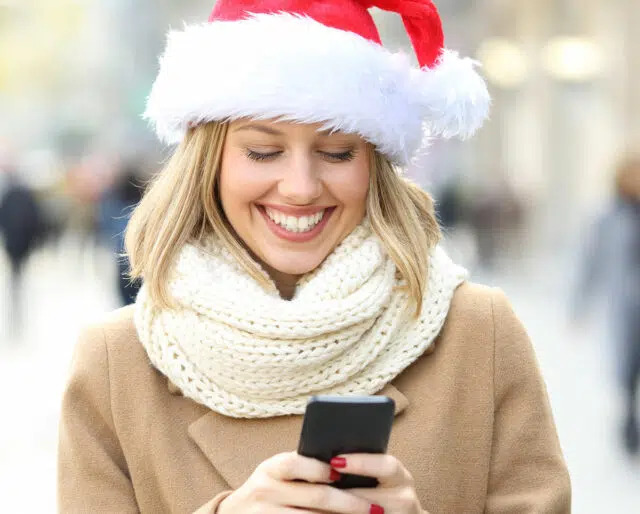 It’s sort of a two-fer holiday where you touch base (preferably by phone — hence the playful reference to “ding-a-ling”) with friends or family you may have lost track of during the year. You also get a free pass to be just a little bit weird for the day. National Ding-A-Ling Day always takes place on December 12 but you can think of it as a second Halloween! Franky Hyle of Melrose Park, Illinois launched a new tradition when he placed a free ad in "Chase’s Calendar of Events" — recruiting people interested in spending one dollar to join a club as part of a group to phone forgotten loved ones in December. ​When we think of bells, an image may come to mind of the Salvation Army — which first used bell ringers in San Francisco to attract donations to the red kettles that provided money for the poor. ​The first bell ever invented dates back to ancient China. National Ding-A-Ling Day is tailor-made for music. Think of all the songs you know with ding-a-ling in the title. We suggest you play Chuck Berry’s only number one Billboard hit, the 1972 version of "My Ding-a-Ling." Supposedly, this refers to a toy with “silver bells hanging on a string” but you decide. Pop sensation Bobby Rydell also had a song called "Ding-a-Ling," released in 1960. Last but not least, check out ska musician Judge Dread with his island-y version of "My Ding-a-Ling." Let the sound of bells lure you over to the Salvation Army's red kettle for a donation to help those less fortunate. After all, this is the holiday season and it's time to open your heart and your purse for a good cause. Ditch the text and call your family member or friend today. Texting is a thing we do now. Why not buck that trend for just one day and pick up an actual phone to call someone? All jokes aside, National Ding-A-Ling Day was created not only as a day to remember our loved ones but also to keep people from feeling isolated. Plus, hearing someone's voice on the phone is a warmer, deeper connection than just texting. In Egyptian antiquity, bells were flat and hit with a metal gong during worship of the god Osiris. ​Hindu and Buddhist religions used bells to signal worshippers to service. Saint Bede started the practice of ringing bells for funerals in England. ​The Joseph Chamberlain Memorial Clock Tower (University of Birmingham in England) is the tallest stand-alone tower in the world at a height of 360 feet. ​The Tsar Bell in Moscow ranks as the largest bell in the world, weighing a whopping 400,000 pounds. Legend has it that the idea for National Ding-A-Ling Day evolved during a group conversation about people being friendlier and staying connected with loved ones. Somehow the term “ding-a-ling” came up — defined as “one who hears bells in his head." Soon, millions of people were touching base on December 12 (or "ding-a-linging" because iPhones weren't invented yet) with contacts they hadn't spoken to throughout the year. Sometimes people show a more bizarre side of themselves on National Ding-A-Ling Day (as if some folks actually need a day to be crazy...just sayin’). Ding-A-Lings (absolutely not the same as "dingbats") may be wearing some kind of weird headgear or walking backwards. You get the idea: National Ding-A-Ling Day is your time to be "special" for just one day. National Ding-A-Ling Day is synonymous with the sound of bells. It could be the classic "old phone" sound on your cell, or it could be the sound of an incoming text or, crazier still, a ding-a-ling could be the actual sound of a bell. The main idea is that bells alert us and remind us to do something important. This year, make that something be an actual phone call to someone you haven't spoken to for a long time.